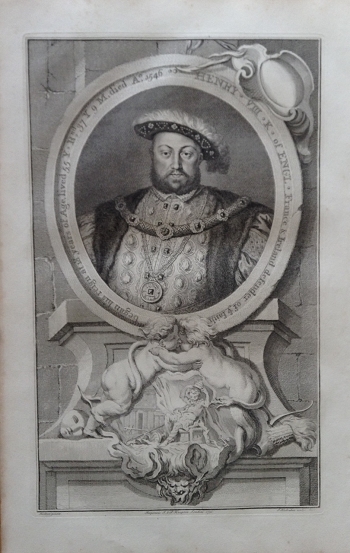 This copper plate engraving of Henry VIII was published in 1813 and was a reproduction of a copper plate engraving published by Knapton in 1750. It measures 11 x 17 1/2 inches. Note the intricate and beautiful designs surrounding this portrait and the succeeding ones on this page.